Kawabata K, Shobayashi K, Iwao K, Takahashi E, Tanihara H, Inoue T. Efficacy and safety of Ex-PRESS® mini shunt surgery versus trabeculectomy for neovascular glaucoma: a retrospective comparative study. BMC Ophthalmol. 19:75, 2019. Galvao J, Iwao K, Apara A, Wang Y, Ashouri M, Shah TN, Blackmore M, Kunzevitzky NJ, Moore DL, Goldberg JL. The Krüppel-Like Factor Gene Target Dusp14 Regulates Axon Growth and Regeneration. Invest Ophthalmol Vis Sci. 59:2736-2747, 2018. Nakashima KI, Iwao K, Inoue T, Haga A, Tsutsumi T, Mochita MI, Fujimoto T, Tanihara H. Stimulation of the adenosine A3 receptor, not the A1 or A2 receptors, promote neurite outgrowth of retinal ganglion cells. Exp Eye Res. 170:160-168, 2018. Apara A, Galvao J, Wang Y, Blackmore M, Trillo A, Iwao K, Brown DP Jr, Fernandes KA, Huang A, Nguyen T, Ashouri M, Zhang X, Shaw PX, Kunzevitzky NJ, Moore DL, Libby RT, Goldberg JL. KLF9 and JNK3 Interact to Suppress Axon Regeneration in the Adult CNS. J Neurosci. 37:9632-9644, 2017. Tsutsumi T, Iwao K, Hayashi H, Kirihara T, Kawaji T, Inoue T, Hino S, Nakao M, Tanihara H. Potential Neuroprotective Effects of an LSD1 Inhibitor in Retinal Ganglion Cells via p38 MAPK Activity. Invest Ophthalmol Vis Sci. 57:6461-6473, 2016. Nishizawa A, Inoue T, Ohira S, Takahashi E, Saruwatari J, Iwao K, Tanihara H. The Influence of Phacoemulsification on Surgical Outcomes of Trabeculectomy with Mitomycin-C for Uveitic Glaucoma. PLoS One. 11:e0151947, 2016. Ohira S, Inoue T, Iwao K, Takahashi E, Tanihara H. Factors Influencing Aqueous Proinflammatory Cytokines and Growth Factors in Uveitic Glaucoma. PLoS One. 11:e0147080, 2016. Iwasaki K, Takamura Y, Nishida T, Sawada A, Iwao K, Shinmura A, Kunimatsu-Sanuki S, Yamamoto T, Tanihara H, Sugiyama K, Nakazawa T, Inatani M. Comparing Trabeculectomy Outcomes between First and Second Operated Eyes: A Multicenter Study. PLoS One. 11:e0162569, 2016. Takihara Y, Inatani M, Eto K, Inoue T, Kreymerman A, Miyake S, Ueno S, Nagaya M, Nakanishi A, Iwao K, Takamura Y, Sakamoto H, Satoh K, Kondo M, Sakamoto T, Goldberg JL, Nabekura J, Tanihara H. In vivo imaging of axonal transport of mitochondria in the diseased and aged mammalian CNS. Proc Natl Acad Sci U S A. 112:10515-20, 2015. Ohira S, Inoue T, Shobayashi K, Iwao K, Fukushima M, Tanihara H. Simultaneous increase in multiple proinflammatory cytokines in the aqueous humor in neovascular glaucoma with and without intravitreal bevacizumab injection. Invest Ophthalmol Vis Sci. 56:3541-8, 2015. Iwao K, Inatani M, Seto T, Takihara Y, Ogata-Iwao M, Okinami S, Tanihara H. Long-term outcomes and prognostic factors for trabeculectomy with mitomycin C in eyes with uveitic glaucoma: a retrospective cohort study. J Glaucoma. 23:88-94, 2014. Takihara Y, Inatani M, Ogata-Iwao M, Kawai M, Inoue T, Iwao K, Tanihara H. Trabeculectomy for open-angle glaucoma in phakic eyes vs in pseudophakic eyes after phacoemulsification: a prospective clinical cohort study. JAMA Ophthalmol. 132:69-76, 2014. Iwao K, Goldberg JL. Early Testing of CNTF for Glaucoma. Glaucoma Today. May/June 2013:56-57, 2013. Ogata-Iwao M, Inatani M, Takihara Y, Inoue T, Iwao K, Tanihara H. A prospective comparison between trabeculectomy with mitomycin C and phacotrabeculectomy with mitomycin C. Acta Ophthalmol. 91:e500-1, 2013. Inatani M, Ogata-Iwao M, Takihara Y, Iwao K, Inoue T, Kasaoka N, Tanihara H. [A prospective study of postoperative aqueous flare in trabeculectomy alone versus phacotrabeculectomy]. Nippon Ganka Gakkai Zasshi. 116:856-61, 2012. Ogata-Iwao M, Inatani M, Iwao K, Takihara Y, Nakaishi-Fukuchi Y, Irie F, Sato S, Furukawa T, Yamaguchi Y, Tanihara H. Heparan sulfate regulates intraretinal axon pathfinding by retinal ganglion cells. Invest Ophthalmol Vis Sci. 52:6671-9, 2011. Iwao K, Inatani M, Tanihara H; Japanese Steroid-Induced Glaucoma Multicenter Study Group. Success rates of trabeculotomy for steroid-induced glaucoma: a comparative, multicenter, retrospective cohort study. Am J Ophthalmol. 151:1047-1056, 2011. Takihara Y, Inatani M, Seto T, Iwao K, Iwao M, Inoue T, Kasaoka N, Murakami A, Futa R, Tanihara H. Trabeculectomy with mitomycin for open-angle glaucoma in phakic vs pseudophakic eyes after phacoemulsification. Arch Ophthalmol. 129:152-7, 2011. Takihara Y, Inatani M, Hayashi H, Adachi N, Iwao K, Inoue T, Iwao M, Tanihara H. Dynamic imaging of axonal transport in living retinal ganglion cells in vitro. Invest Ophthalmol Vis Sci. 52:3039-45, 2011. Takihara Y, Inatani M, Kawaji T, Fukushima M, Iwao K, Iwao M, Tanihara H. Combined intravitreal bevacizumab and trabeculectomy with mitomycin C versus trabeculectomy with mitomycin C alone for neovascular glaucoma. J Glaucoma. 20:196-201, 2011. Iwao K, Inatani M, Ogata-Iwao M, Yamaguchi Y, Okinami S, Tanihara H. Heparan sulfate deficiency in periocular mesenchyme causes microphthalmia and ciliary body dysgenesis. Exp Eye Res. 90:81-8, 2010. Iwao K, Inatani M, Matsumoto Y, Ogata-Iwao M, Takihara Y, Irie F, Yamaguchi Y, Okinami S, Tanihara H. Heparan sulfate deficiency leads to Peters anomaly in mice by disturbing neural crest TGF-beta2 signaling. J Clin Invest. 119:1997-2008, 2009. Iwao K, Inatani M, Ogata-Iwao M, Takihara Y, Tanihara H. Restricted post-trabeculectomy bleb formation by conjunctival scarring. Graefes Arch Clin Exp Ophthalmol. 247:1095-101, 2009. Takihara Y, Inatani M, Fukushima M, Iwao K, Iwao M, Tanihara H. Trabeculectomy with mitomycin C for neovascular glaucoma: prognostic factors for surgical failure. Am J Ophthalmol. 147:912-8, 2009. Iwao M, Inatani M, Iwao K, Kawaji T, Tanihara H. Cystoid macular edema caused by intraocular lens dislocation after trabeculectomy. Can J Ophthalmol. 43:728-9, 2008. Inatani M, Iwao K, Inoue T, Awai M, Muto T, Koga T, Ogata-Iwao M, Hara R, Futa R, Tanihara H. Long-term relationship between intraocular pressure and visual field loss in primary open-angle glaucoma. J Glaucoma. 17:275-9, 2008. Iwao K, Inatani M, Okinami S, Tanihara H. Fate mapping of neural crest cells during eye development using a protein 0 promoter-driven transgenic technique. Graefes Arch Clin Exp Ophthalmol. 246:1117-22, 2008. Inatani M, Iwao K, Kawaji T, Hirano Y, Ogura Y, Hirooka K, Shiraga F, Nakanishi Y, Yamamoto H, Negi A, Shimonagano Y, Sakamoto T, Shima C, Matsumura M, Tanihara H. Intraocular pressure elevation after injection of triamcinolone acetonide: a multicenter retrospective case-control study. Am J Ophthalmol. 145:676-681, 2008. Kawaji T, Takano A, Inomata Y, Sagara N, Iwao K, Inatani M, Fukushima M, Tanihara H. Trans-Tenon's retrobulbar triamcinolone acetonide injection for macular oedema related to branch retinal vein occlusion. Br J Ophthalmol. 92:81-3, 2008. Iwao K, Inatani M, Kawaji T, Koga T, Mawatari Y, Tanihara H. Frequency and risk factors for intraocular pressure elevation after posterior sub-Tenon capsule triamcinolone acetonide injection. J Glaucoma. 16:251-6, 2007. 臨床眼科　増刊号. 緑内障　なんでも質問箱 エキスパートに聞いたら最新エビデンスをもとにズバリと答えてくれた! :312-316, 2015. 医学書院 東京. 眼科臨床エキスパート「緑内障治療のアップデート」 68-76, 2015. 医学書院 東京. 眼科臨床エキスパート「緑内障治療のアップデート」 77-84, 2015. 医学書院 東京. 眼科臨床エキスパート 「All About 開放隅角緑内障」 42-56, 2013. 医学書院 東京. 眼手術学6 緑内障. 244-249, 2012. 文光堂 東京. 眼科インストラクションコース17 「眼科診療のスキルアップ　緑内障編」 156-163, 2008. 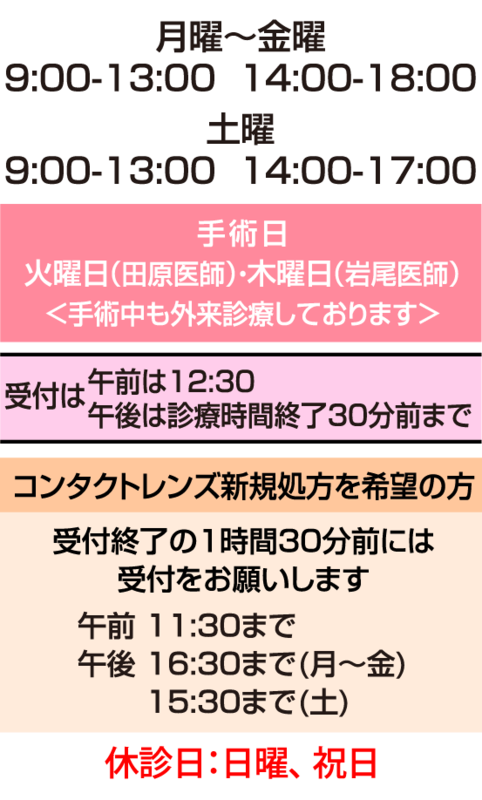 メジカルビュー社 東京. Frontiers in Glaucoma, vol. 8, no. 4, 202-209, 2007. Keiichiro Iwao, Asaho Nishizawa, Toshihiro Inoue, Hidenobu Tanihara. Impact of phacoemulsification on postoperative IOP after MMC trabeculectomy for uveitic glaucoma. Keiichiro Iwao. The Kruppel-Like Factor Gene Target Dusp14 Regulates Axon Growth and Regeneration in Retinal Ganglion Cells. Keiichiro Iwao, Akitomide Apara, Yan Wang, Noelia J. Kunzevitzky, Jeffrey L. Goldberg. The Krüppel-Like Factor Gene Target Dusp14 Regulates Axon Growth and Regeneration. Keiichiro Iwao, Noelia J Kunzevitzky, Yan Wang, Jeffrey L Goldberg The Kruppel-Like Factor Gene Target Dusp14 Regulates Axon Growth and Regeneration. Takihara Y, Inatani M, Iwao M, Kawai M, Inoue T, Iwao K, Tanihara H. A Prospective Study of Phakic vs Pseudophakic Eyes after Phacoemulsification in Trabeculectomy for Open-Angle Glaucoma. K. Iwao, M. Inatani, K. Seto, Y. Takihara, M. Ogata-Iwao, S. Okinami, H. Tanihara. The Long-Term Outcome and Prognostic Factors for Trabeculectomy in Uveitis-Related Glaucoma Eyes: Retrospective Cohort Study at 2 Clinical Centers. Y. Takihara, M. Inatani, T. Seto, K. Iwao, M. Iwao, T. Inoue, N. Kasaoka, A. Murakami, R. Futa, H. Tanihara. Trabeculectomy With Mitomycin C for Open-Angle Glaucoma in Phakic Eyes vs. Pseudophakic Eyes After Phacoemulsification. K. Iwao and M. Inatani, on behalf of Steroid-Induced Glaucoma Multicenter Study Group. Prognostic Factors and Long-Term Outcome of Trabeculotomy for Steroid-Induced Glaucoma: Multicenter Retrospective Case-Control Study. Y. Takihara, M. Inatani, T. Kawaji, M. Fukushima, K. Iwao, M. Iwao, H. Tanihara. Combined Intravitreal Bevacizumab and Trabeculectomy with Mitomycin C Versus Trabeculectomy with Mitomycin C for Neovascular Glaucoma. Keiichiro Iwao, Masaru Inatani, Minako Ogata-Iwao, Satoshi Okinami, Hidenobu Tanihara. Heparan Sulfate Regulates Smad Signaling in Anterior Ocular Development. Keiichiro Iwao, Masaru Inatani, Minako Ogata, Hidenobu Tanihara. Heparan sulfate is required for the development of the ocular anterior segment. Minako Ogata, Masaru Inatani, Keiichiro Iwao, Hidenobu Tanihara. Heparan sulfate is required for the development of the optic nerve head. Intani M, Iwao K, Hirano Y, Hirooka K, Nakanishi Y, Shimonagano Y, Shima C. Intraocular pressure elevation after the injection of triamcinolone acetonide: triamcinolone acetonide study group. Keiichiro Iwao, Masaru Inatani, Hidenobu Tanihara. The Deficiency of Heparan Sulfate in Neural Crest Cells Is Associated with the Anomalies in the Anterior Segment of the Eye. Iwao K, Iwakiri R, Kobayashi K, Kobayashi H, Okinami S. Comparison of Optic Nerve Head Measurements Obtained by Optical Coherence Tomography and Scanning Laser Tomograph. 岩尾　圭一郎: Discovering New Genes to Enhance Neurite Outgrowth and Regeneration Ability. 2014年 Young Investigator Award. Glaucoma Summer Camp 2014. 2010年 Alcon Japan Hida Memorial Award/World Ophthalmology Congress Tano Travel Grant 2010. 2009年 KOWA Travel Grant for ARVO 2009 Annual Meeting. Copyright(c) 2017 健軍桜木眼科 All Rights Reserved.